"The city has been overrun by bad dudes. 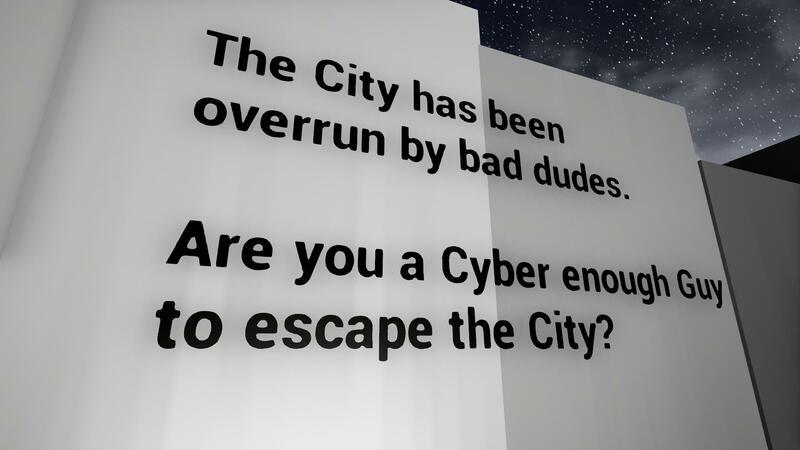 Are you a Cyber enough Guy to escape the city?" 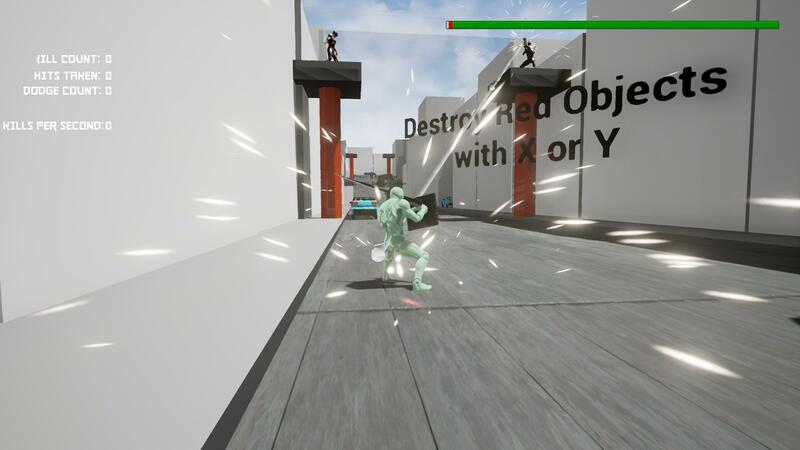 Cyber Guy is a 3D third-person action combat game. 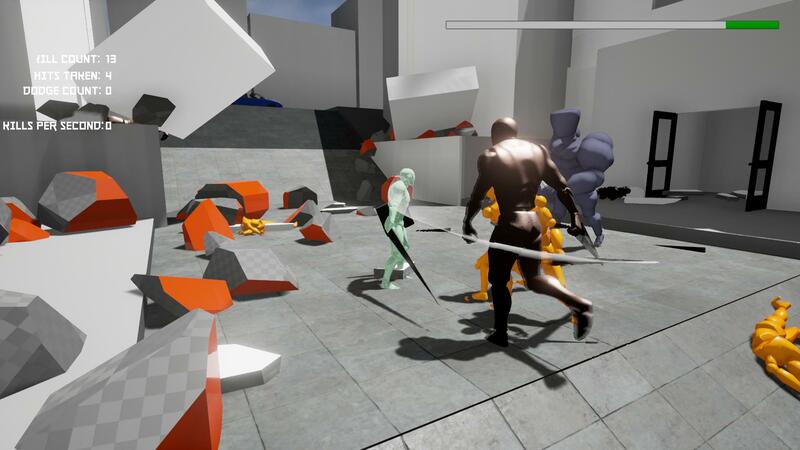 Players make use of numerous combat techniques and abilities to fight their way through hordes of enemies, each with their own strengths and weaknesses, to escape a ruined city.